Remembering my Mother lost last June 17th, 2017. You are loved and well missed. 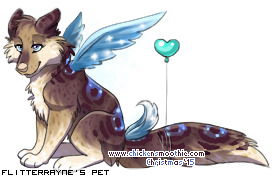 Known as "FlitterRayne" on Eldemore and Flight Rising well. Trades in both places welcomed! Last edited by Snowy Kitten on Sat Feb 16, 2019 7:06 am, edited 1 time in total. Sometimes they can be critical, egotistical, rough, opinionated. 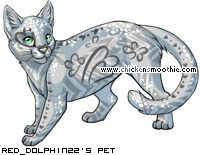 I'd like to design pets in the near future for cs, once I meet the requirements. Would make awesome 3rd gens. Alaskan Snow wrote: I just thought of this, would love to see a litter with a mixture of these two! I feel like these two make a pretty pair. I think these would be cute!